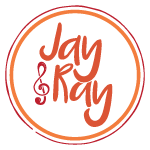 Tune in to watch Jay and Ray 'Live'! Like what you're seeing? Click the link above to subscribe to our youtube page! Register for weekly class or sign-up for a drop-in below.